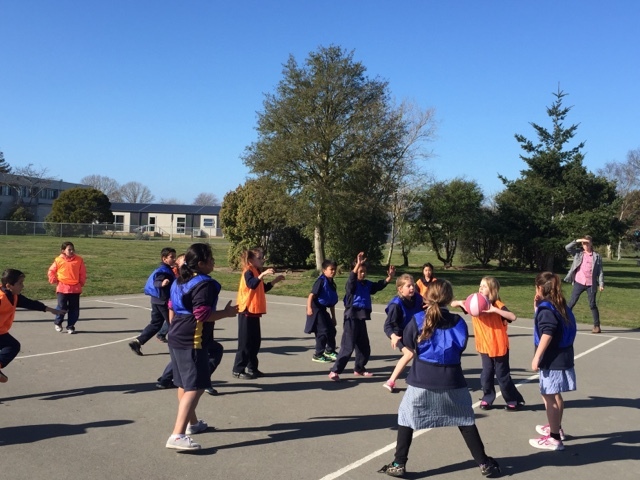 Today the Year 4s had the opportunity to play Mr Rule's handball, a game Mr Rule invented. The children had a fantastic time and had lots of fun trying out the game! I would like someone to explain the rules to me. Could we play this game at lunchtimes? You can't run or walk with the ball. You need two goalies for each teams. You need two coloured bibs. I like handball it is fun. What a wonderful game great job yr 4s. Hi my name is Morgan from Kaniere school. It looks like you have a great time when you are doing P.E. Woof, woof, here comes Indy! Looking for something to do in the holidays?